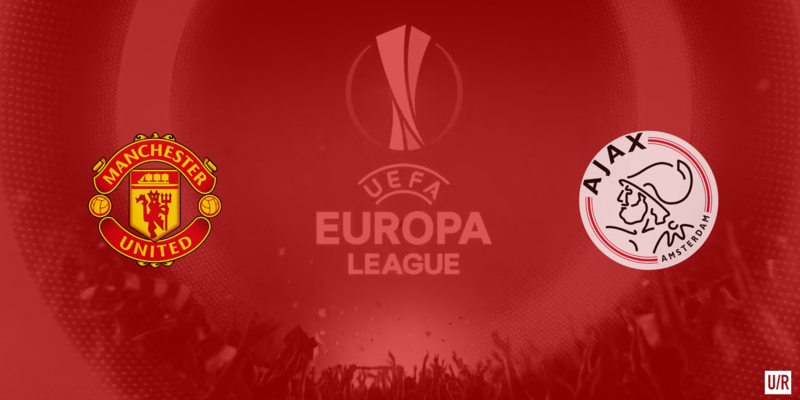 Q&A with Ajax Daily: Who do Manchester United need to look out for in the Europa League final? Ahead of the Europa League final, utdreport sat down with Ajax blog ajaxdaily.com, to ask their opinions on the fixture, which is set to take place on May 24th in Stockholm. The game itself is huge for both clubs, as United will be desperate to secure Champions League football, and Ajax will want something to take the pain away from their fiercest rivals Feyenoord lifting the Eredivisie title on Sunday. UR: How do you feel that Ajax have not only reached the final of the Europa League, but that they’re set to face Manchester United there? AD: Three words come to mind: ecstatic, euphoric and nostalgic. Taking into account the ever-increasing financial gap between our domestic Eredivisie competition and the bigger European leagues, Dutch success in international tournaments was generally considered a mission impossible. These thoughts were strengthened by our disappointing Europa League campaigns of the last couple of seasons, being eliminated early in the knockout stage by the likes of Dnipro, Red Bull Salzburg and Steaua Bucharest. Last season we couldn’t even get out of the Europa League group stage, finishing behind Fenerbahce and Molde. We’ve made great strides under Peter Bosz. The successor of Frank de Boer (and a Johan Cruijff disciple) introduced his own version of Total Football in Amsterdam, implementing a tactical and strategical style loosely based on the philosophy that turned our club into European giants back in the seventies and the nineties. The fact we’re capable of playing that specific style (which is considered to be the authentic Ajax style) and combining it with impressive performances and results make for ecstatic, euphoric and nostalgic times. I for one am extremely glad we will face Manchester United in the final. Despite struggling in recent years, United are without a doubt still one of the biggest clubs in football and generate so much more interest than – for example – Celta Vigo would have. It not only confirms Ajax are back on the map of international football, amongst the greatest teams in the world, but also adds another dimension to the final. Two clubs with such a rich history and world-renowned club culture. It’s what a final – whether it’s the Europa League or Champions League – deserves. UR: Do you feel a little more confident ahead of the game due to Eric Bailly’s suspension? AD: Bailly is having an impressive first season at Manchester United, and his absence will surely be felt. However, me being an Ajax-man, I’d love to see Daley Blind and/or Timothy Fosu-Mensah featured in the United starting XI for the final. You’d think with Bailly’s suspension chances of at least one of them playing have become bigger. UR: Who do Manchester United have to look out for in Ajax’s team? AD: First and foremost: Kasper Dolberg. The 19-year-old striker is having a phenomenal season, his first in the senior team of Ajax, scoring a total of 23 goals and assisting 8. He’s considered by many to be the most complete striker since Patrick Kluivert. Physically strong, technically gifted and a lethal finisher inside the box. Dolberg forms a great duo with Hakim Ziyech, the primary playmaker in the team. Though it took him a while to cement his spot in the squad following his €11m transfer from Twente early in the season, the Moroccan midfielder has been in outstanding form over the last couple of weeks. A proficient dribbler, but at the same time extremely creative with his passing and through-balls. He manages to create about 3.5 chances each game, which pretty much says it all. In the back we have central defender Davinson Sanchez. The Colombian only signed with Ajax at the beginning of the season, but seamlessly transitioned into the first team and was recently named Ajax’ player of the year. Over the last couple of weeks, he has been linked with various teams including Barcelona, Real Madrid and PSG. Davy Klaassen probably put it best: “Davinson is a beast. He has the stature and the power. I can understand why he has been associated with top clubs.” But not only is he a strong defender, he also possesses great ball-playing ability making for a great all-round modern centre-back. Honourable mention goes out to our captain Davy Klaassen, a midfielder with a real “nose for the goal”, as we Dutchies like to put it. He’s got a great sense of timing and the tendency of showing up in the box just in time to finish an attack. But these are just the pillars. True to our culture, there’s an impressive amount of talented youngsters making a name for themselves in the first team. 17-year-old central defender Matthijs de Ligt has been pivotal in our Europa League run, showing the composure and vision of an experienced world class defender. Justin Kluivert is also showing great potential, as are Nouri, Van de Beek and De Jong. I could go on and on. The current generation of Ajax youngsters is the most talented in recent times, and an absolute thing of beauty to watch. UR: Which Manchester United players will cause the biggest threat to Ajax? AD: Without naming specific players, the biggest threat for Ajax is likely the immense difference in the physical department. Where our squad is filled with talented, technical youngsters, the players of United combine those same traits with greater physical presence. It’ll be interesting to see if we’re capable of dealing with that disadvantage. One of the most successful aspects of Ajax’ game has been the overwhelming pressure when the opposition is in possession. Will we be able to do the same when we’re facing taller, bigger and stronger players? I am probably biased, but had Zlatan been able to compete in the final, he would’ve likely been the biggest threat. We taught him that! UR: Do you think winning the Europa League would make Manchester United’s season a successful one? AD: Considering Manchester United’s current position on the Premier League table, a Europa League win should at least be considered as very credible short term success. Obviously not as prestigious as the Champions League, but still a very reputable trophy to take home, and it guarantees that valuable Champions League spot for next season. On the other hand, even with a Europa League win, the season is general is probably considered to be a disappointment. I’ll let the United fans be the judge of that. UR: Finally, predictions for the game? AD: Looking at it from a rational and sensible perspective – including the shocking differences in financial backing – one must admit Manchester United are likely to be the favourites to win it. However, as the greatest Ajacied of all time once said: “I have never seen a bag of money score a goal.” And that’s why I firmly believe Ajax will take Europa League gold back to Amsterdam: 2-1. We’d like to give a huge thanks to ajaxdaily.com for their time, and you can follow them here for all the latest Ajax news in English.